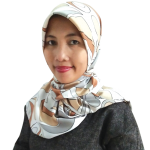 Latifah Hasanah has a strong track record helping clients overcome considerable obstacles by building coalitions for advocacy and developing highly detailed stakeholder maps with key contact information. She also is talented at illuminating and clarifying complex regulatory procedures. Through her close contacts at the Ministry of Health, the National Drug and Food Control Agency (BPOM) and National Health Insurance Administration (BPJS Kesehatan), Latifah provides regulatory monitoring and analysis to help clients engage the government on health, drug and food-related issues. Latifah brings eight years of experience providing technical assistance to the Parliament’s Commission IX, overseeing health and manpower affairs. Her responsibilities in the Parliament ranged from preparing draft bills, identifying stakeholders for lawmakers to engage and assisting the budgeting process for health-related issues. Aside from her contacts in key government institutions, she maintains active relationships with professional associations such as the Indonesian Doctors Association and civil society groups. Latifah obtained her master’s degree in Public Health from the University of Melbourne after winning the Australian Development Scholarship. She received her bachelor degree in biology from the University of Gadjah Mada.